So I’m learning that in order to shrink my waistline, sometimes it means I have to expand my horizons. That thought deep enough for you? I am one of those people who likes variety. Sure, we all have our foods that we say we could eat every day (although I really do feel that way about popcorn) – but how practical is that? Variety truly is the spice of life. In order to have fun with cooking and losing weight, I love to come up with new things to try or finding new ways to cut caloric-corners…like using fiber cereal as breading in my delicious Buffa-faux Chicken Tenders. I am just not one of those people who can eat grilled chicken with a side of lettuce every day – I would be completely miserable – and this is cooking on the bright side people! A few weeks ago, my husband happily came with me on a post-holiday shopping adventure. We grabbed lunch at a place neither of us had tried before – an Asian place called Stix. I settled on my sushi and he was going with some noodle-based dish, but he asked if I liked Hot and Sour Soup since it only came made for 2, so I agreed to try a little. Y’all, it was straight up delicious! How has it taken me so long to try this? The husband said it was one of the best he’d had and I loved the flavor! I have always been a Won Ton Soup girl – but I may be a convert now. So clearly, I needed to try my hand at making this new-found favorite! 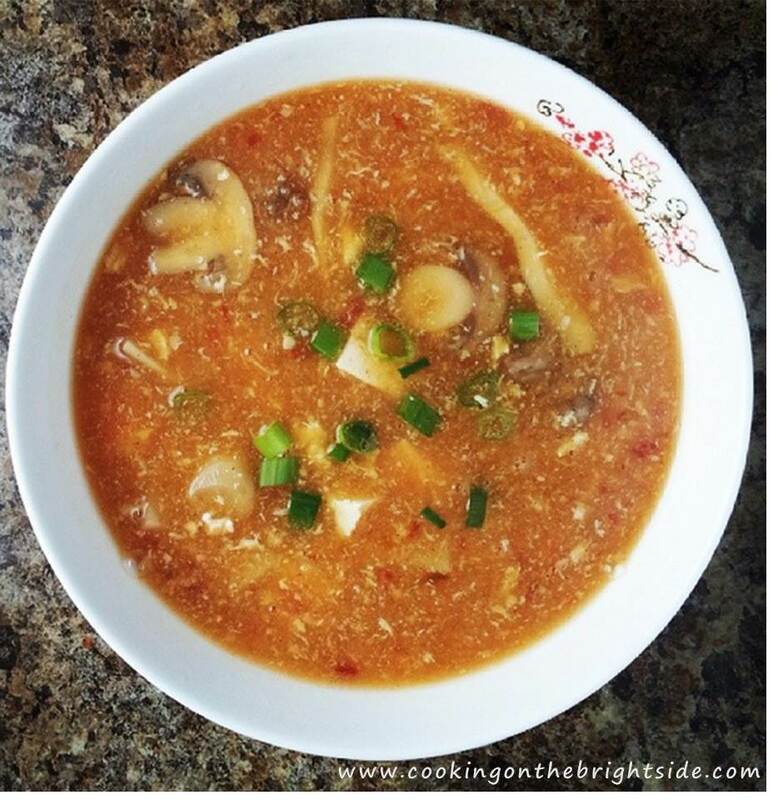 I looked online for some recipes but some of the ingredients just seemed like too much to deal with – until I stumbled upon this beauty from “The Bald Chef” – it seemed perfectly easy to tackle! 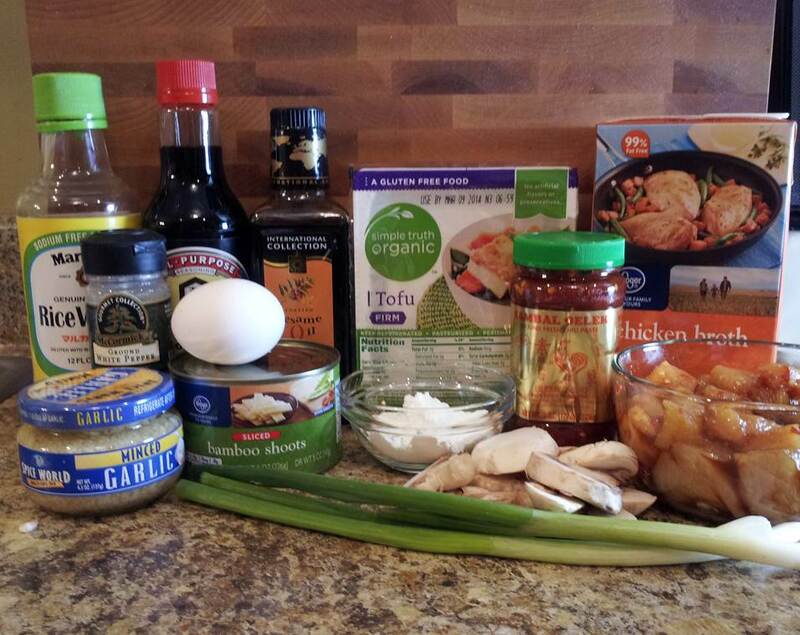 I substituted and modified a few of the ingredients but it still has that balance of spice and sour with plenty of protein from the chicken…and okay, the tofu – which graced my kitchen’s presence for the first time ever! Give this one a try and let me know what you think. Adapted from The Bald Chef’s recipe found here. Begin by cubing chicken breast. Add soy sauce and allow to marinate for 10 minutes. I used that time to prep the rest of my goodies! Heat the sesame oil in a medium saucepan and add garlic and cook 1-2 minutes before adding chicken breast. Stir chicken and cook 4-5 minutes over medium heat. Sprinkle chicken with white pepper and pour in chicken broth. Stir in mushrooms, bamboo and chili paste. Bring to a boil, reduce heat slightly and cook 10 minutes. 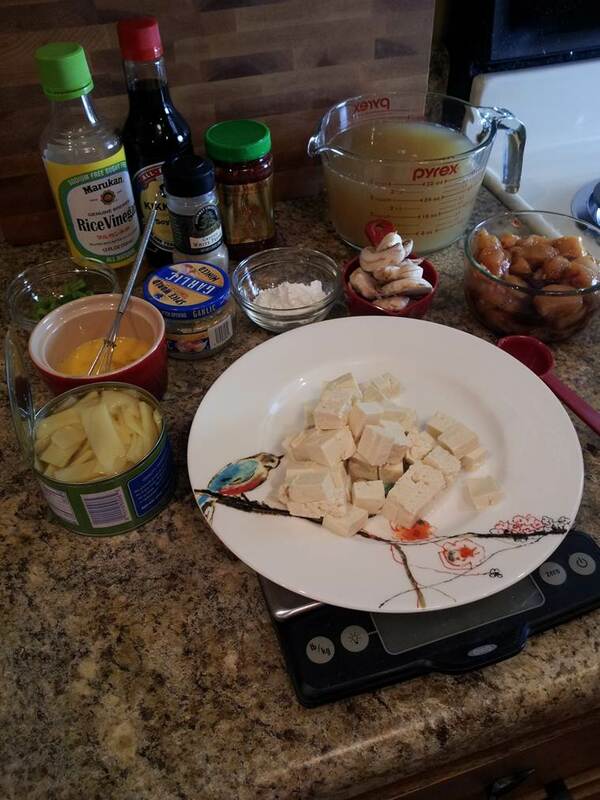 Cut tofu into cubes and add to the soup, along with the vinegar. Bring back to a low boil. Whisk your egg in a small bowl. Pour into the soup in a steady, circular stream. The point here is to cook the egg to thicken the soup, but not have it all in one lump. Once you have poured it, whisk it slightly to incorporate. Mix 1/2 cup water with your cornstarch and pour into the soup. Whisk and cook another 3-5 minutes over medium heat. Serve hot and top with green onions. We each had one bowl and were satisfied – but this would be great paired with some vegetable fried rice, orange chicken, chili-mango shrimp or stir-fry shrimp. A little home-made take out for a quiet night in! 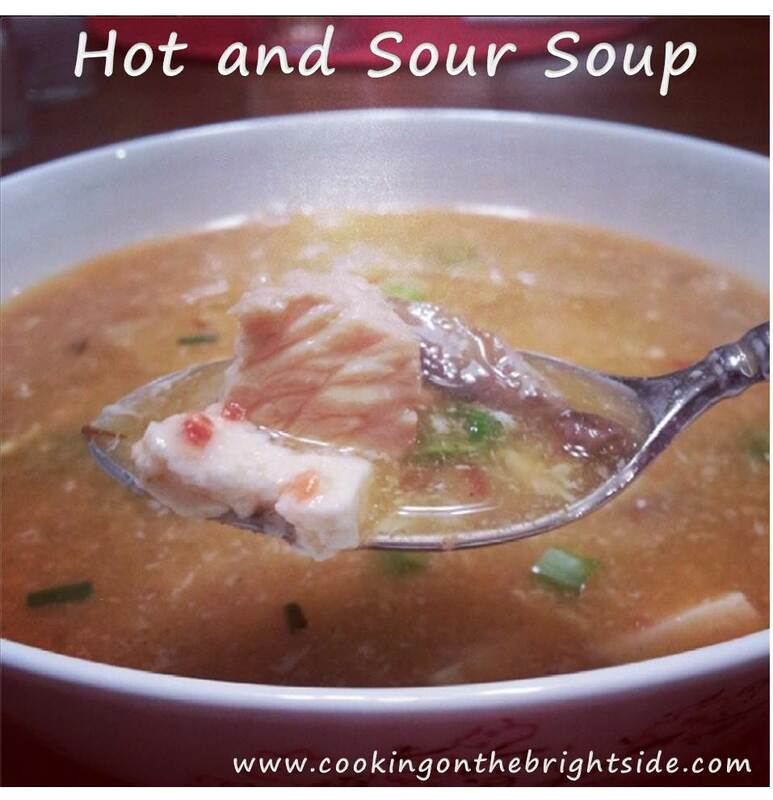 This entry was posted in Soups and tagged hot and sour soup recipe, hot and sour soup with chicken, lightened up asian food, weight watchers hot and sour soup, weight watchers recipe, weight watchers soup by cookingonthebrightside. Bookmark the permalink.